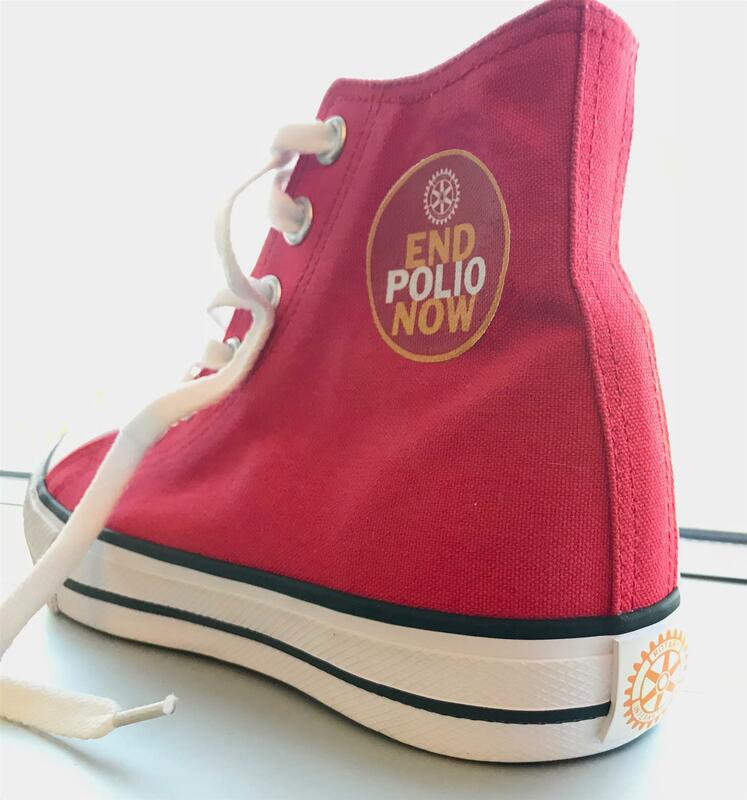 Bring awareness to and help further polio eradication in style! We've got a limited quantity of pairs and sizes for $75 each. 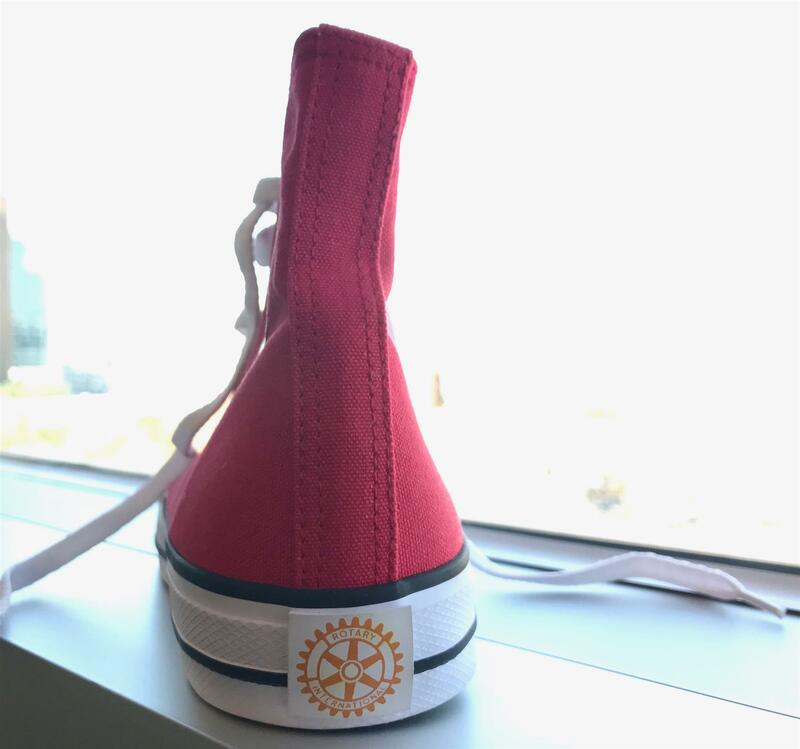 Provide your Rotary ID at checkout and the purchase amount will also be applied to your '18-'19 PolioPlus donations, which will also be represented in your club's per capita giving. No profit is being made from this endeavor; it started as a fundraising idea that has grown beyond our district to the rest of the United States! 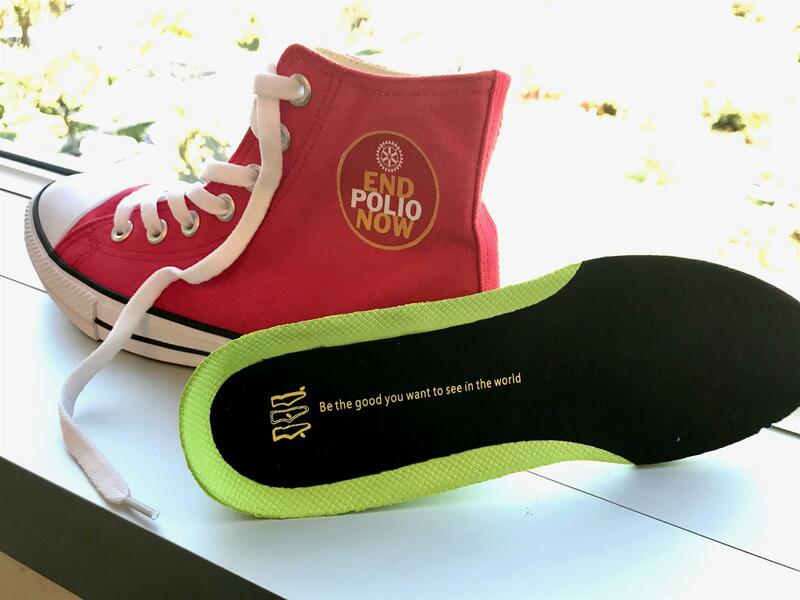 The Stomp Out Polio shoes have a Rotary cog on the heel and we've added an insole for comfort, which says "Be the good you want to see in the world." to remind us daily that we've got to be People of Action to achieve our vision.